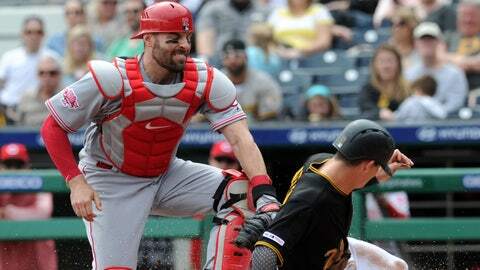 PITTSBURGH (AP) — With one out in the 10th, Francisco Cervelli singled off Reds reliever Raisel Iglesias (0-2). Newman drove the first pitch he saw to the 410-foot left-center notch at PNC Park, and Cervelli easily beat the relay home. It was the first walkoff hit of Newman’s career.